The Sacred Riana is very scary. 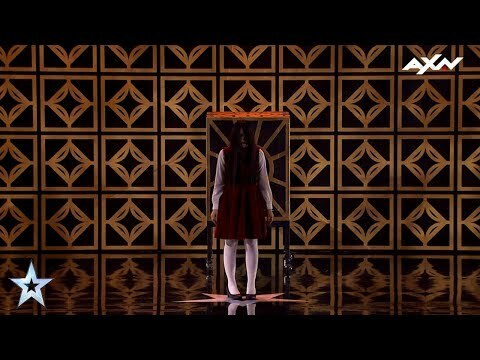 The Sacred Riana, from Indonesia, brings horror to stage magic! She appears to the audience to be engaging in actual magic, always in character, with her long hair on one side. This performance is brilliantly done. I must give credit to the ghouls and zombies on the stage… they were brilliantly performed. The music and the whole ambience created could give you a problem if you have a weak heart. In another setting, this could give you a heck of a fright… especially with the resurgence of zombie horror films. Beware …. the Sacred Riana may be near you one day soon!!! 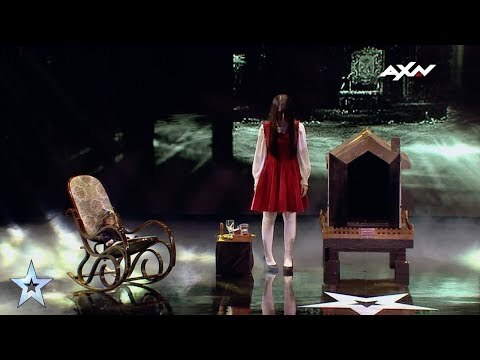 Here is her winning performance from the Finale. You can find more videos of her (and the demons) on youtube. The way she twitches her hand, the head twitches, the music… also brilliant. Here she gives new meaning to selecting audience volunteers. She looks at all the details… see even the “spooky” curls along the bottom of the reveal writing. Love it. 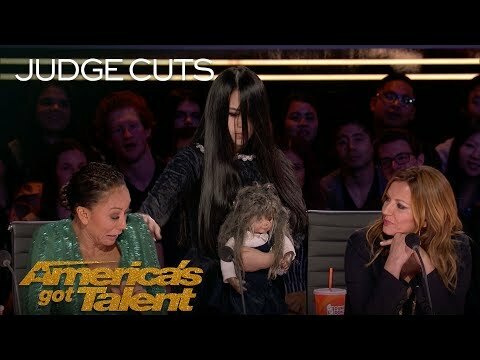 I love the Sacred Riana and can’t believe she was cut from AGT; she has one of the most unique performances that I have ever seen. Is it possible to get an Autograph picture from her. Sorry, i am not in contact with the Sacred Riana, perhaps someone else reading this can help Randy out? Magic and Magicians- Entertainers/ Performers!